My son's girlfriend's sister (no abbreviation for that, that I know of!) is a Marine Biologist at the Long Island Aquarium and also works with The Riverhead Foundation, who rescue and rehabilitate dolphins, porpoises, seals, sea turtles and whales. What an amazing person and what a cool job she has! Anyway, I got a last minute invitation to go to the aquarium (for free) and then have a private "backstage" tour. Needless to say I rescheduled all my other obligations for the day. Wow, what an incredible experience. I now see what difficult work these people do and how commited they are. Thank you, Daniella! 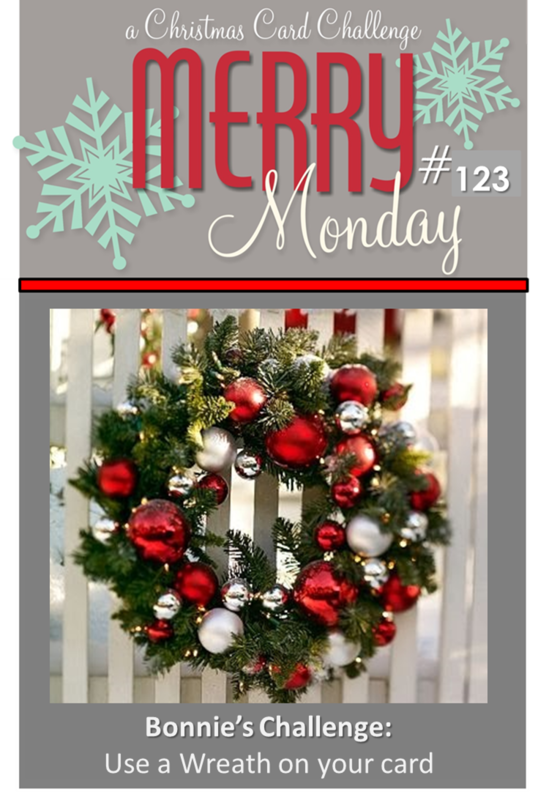 I'm playing along with three challenges today, the "Wreath" theme challenge at Merry Monday, the layout from CAS(E) this sketch, and the colors from The Challenge. I have such a hard time capturing the sparkle of glitter in a photo. I promise you this is prettier in real life. I just dabbed my Two Way Glue Pen randomly over the wreath and sprinkled some Dazzling Diamonds over it. I know! I used glitter twice in two weeks, amazing! Hi Sandy, you've made another absolutely beautiful card here! It is simple, serene and elegant. Love it! I like your card very much! Sandy, I love this card so much. It is gorgeous. Very classy. I'm going to have to try it. Are you going to the Unite & Excite Event on L.I.? A beautiful, sparkly wreath, Sandy! Love the sparkle that I can see a peek of! I know it's even more gorgeous IRL! Thanks for sharing this with us at Merry Monday! I can see the sparkles...so pretty.... those colors really work well for the wreath,too! This is SO beautiful! Love the color combo and touches of glitter!! Thanks so much for joining us at Merry Monday!! What a pretty creation, Sandy! Sounds like you had an amazing experience indeed!!! Lovely wreath and love the sparkles!! 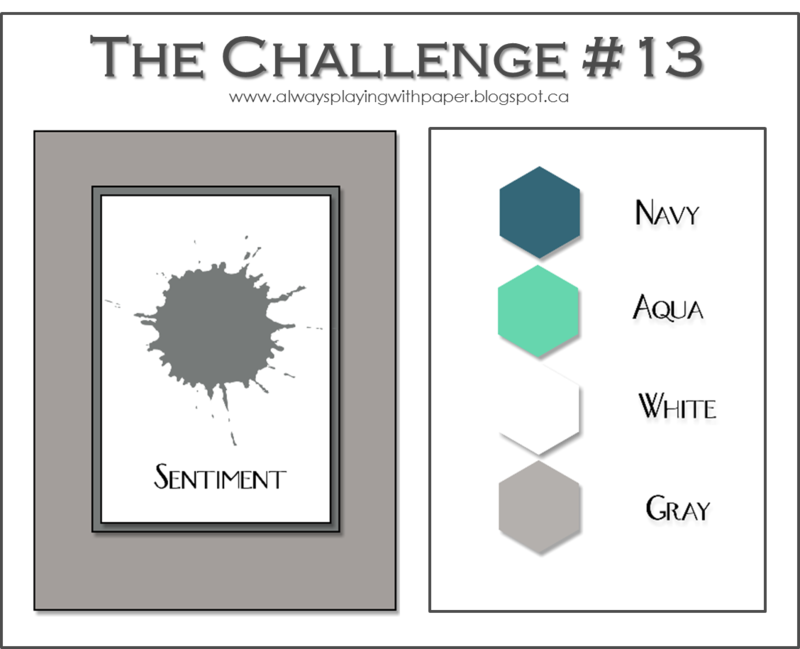 Thanks so much for sharing at The Challenge! I love Aquariums, so this would have been so cool!!!! 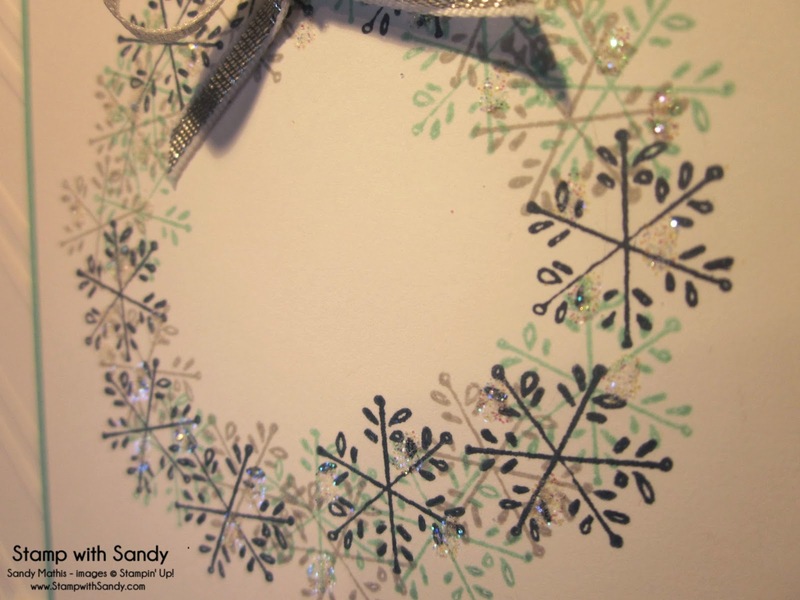 Very pretty card Sandy, I love the sparkle you added to your fabulous wreath. Thank you for joining us for Merry Monday. Wow Sandy! Who would've thought to use the snowflakes to create a wreath! I love it! I love your snowflake wreath! Great take on the sketch! 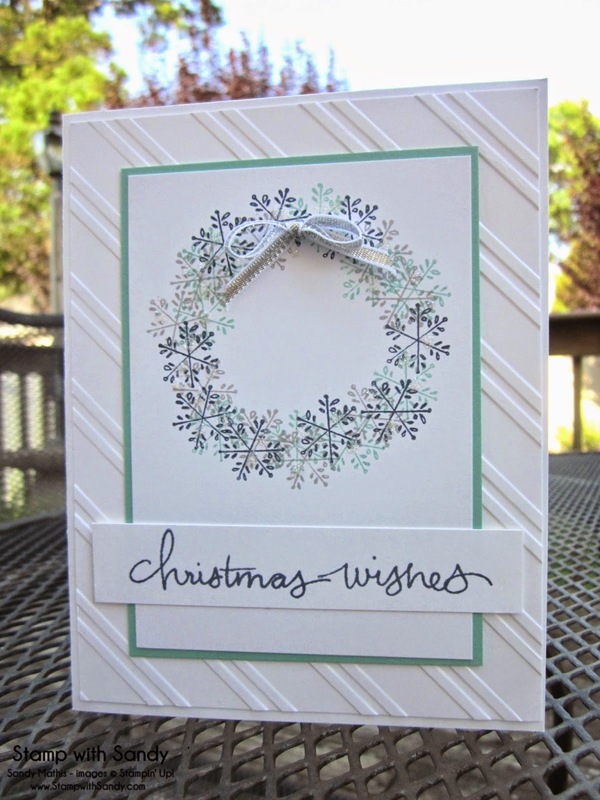 Sandy, I love the gentle colors of this card and genius to use snowflakes for the wreath! I'll add my thanks to yours and say that I am so thankful for people like Daniella who help rescue these fabulous animals. 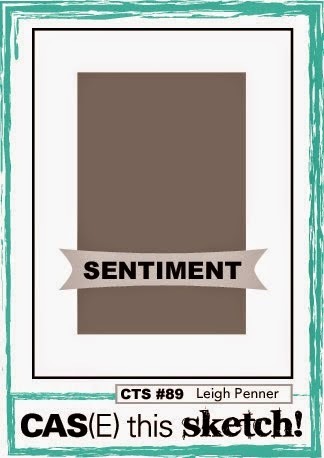 Love the colors you chose for this card, and that embossed background is gorgeous. Gorgeous and oh so elegant! I love the sparkle and shine in that close up, and the little bow accent! The embossing makes this look so expensive and formal too!